It can be truly fascinating hearing how customers use our products. Until this customer got in touch, we were not aware of this aspect of work for scent detection dogs which we found really interesting. Richard and Alexia Naylor are regular customers of The Consumables Company and partners in a somewhat unusual business. 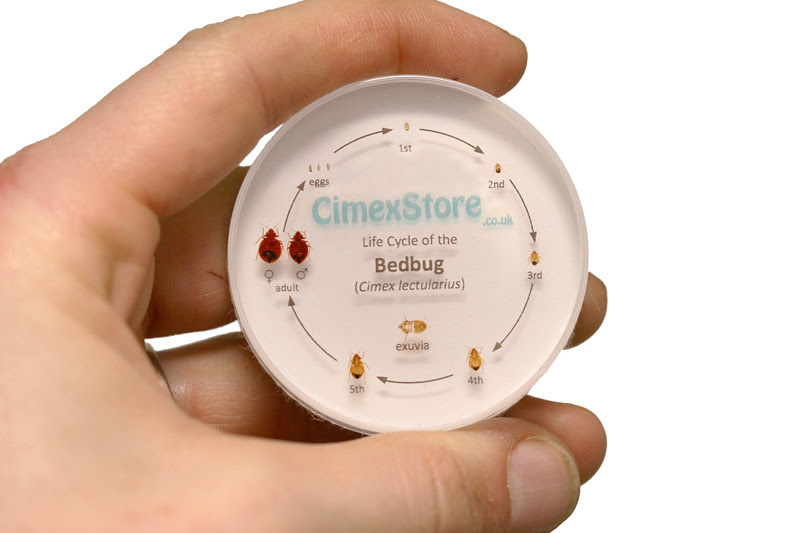 Through their web shop, CimexStore, they supply live bedbugs to customers all over the world! Richard said “we have two main groups of customers. 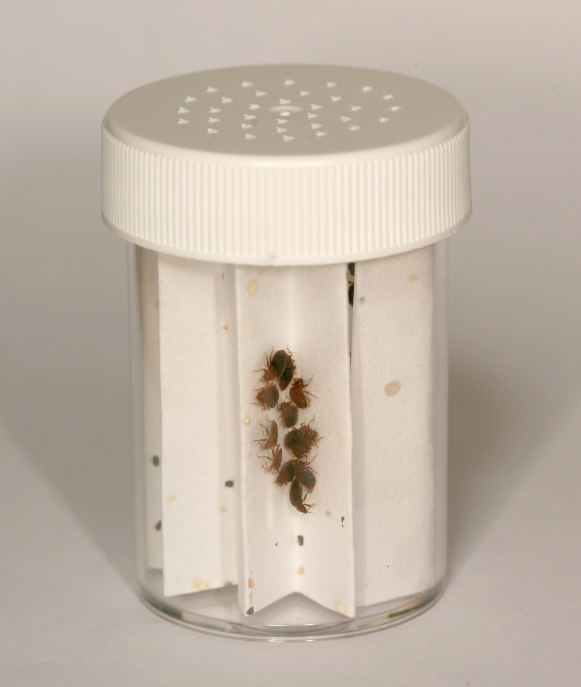 The first are the research labs, who need large numbers of live bedbugs for developing and testing bedbug control products.” The first image shows some of our bedbug friends at home in a 60ml screw cap container which the customer has added ventilation to. “The second group of customers are the canine scent detection industry. In recent years bedbugs have become much more common and increasingly difficult to control. Scent detection dogs have proved to be a great way of identifying infestations in the very early stages before they have time to spread. 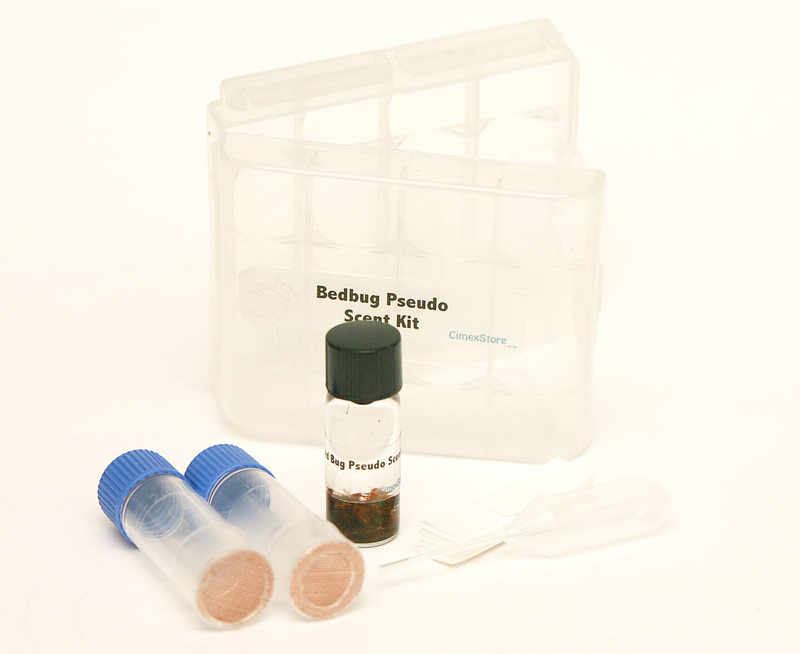 Dogs need regular training with live bedbugs in order to maintain their bug-searching ability, so handlers buy small, pre-sealed vials of bedbugs from us. In addition to pots of live bugs, CimexStore sells a range of other bedbug-related products, many of which are made from, or shipped in, plastic ware supplied by The Consumables Company. One of our most popular products are the preserved bedbug life cycles. We preserve all the life stages from egg through to adult and cast them in acrylic for use as training aids for pest controllers and hotel staff. The 55mm diameter petri dishes are the ideal size to cast the life cycles in. For our dog training customers who prefer not to use live bedbugs (for fear of them escaping! ), we make up a pseudo scent kit. This is a solvent extraction of bedbug pheromones, which can be applied to strips of paper and hidden around the room. Once the bedbug pheromones have been applied, the strips of paper smell exactly the same as live bedbugs, and can therefore be used to train their dogs. Each kit contains a 2ml glass vial of solvent, a micro pipette and two vials with blue screw caps which we ventilate – all of which come from The Consumables Company. We have chosen not to deter some readers who might not be inclined to see what I refer to as creepy crawlies (! ), but others may enjoy reading more via this link to Richard and Alexia’s web shop, click here – why Cimex, well accordingly to my reference source, Google: the genus Cimex … includes bedbugs. And finally some links for those who might like to see some creepy crawlies or for further information about the Bedbug Foundation.